Kimera “The Lost Opera” Part 1 | Marbella Marbella – Adelante! 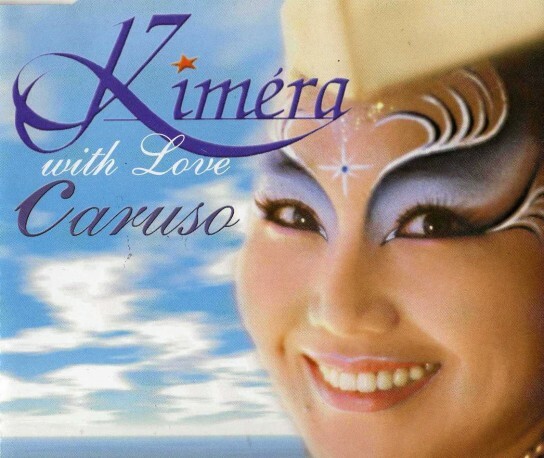 The Costa del Sol has attracted numerous talented and attractive personalities to its delightful shores but arguably few as gifted as the beautiful South Korean soprano star Kimera, who brings with her a host of musical successes. The video simply provides the viewer with a taste of her supreme vocal range and skills as she brilliantly sings some of Operas musical favourite arias. 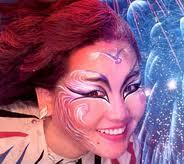 Kimera (born January 10, 1954) is South Korean-born popera singer. Her music style was that of pop opera (similar to pop symphony yet with more techno beat). She created the style of “popera”, consisting of a medley of opera arias set to a mid-80’s form of disco and High N-R-G beats. Her music career stage was in Europe, mostly in France and Spain, but she also enjoyed tremendous success with her debut single “The Lost Opera” (reaching number 1 on the South African Springbok Charts in June 1985 and charting for 19 weeks) and first two albums in South Africa. Her debut album was released in 1985, titled, “the Lost Opera.” Her second album “Opera Express” and same-titled single were released in 1986. Both singles were edited ‘radio friendly’ versions from the continuous medleys found on aforementioned parent albums. Her real name is Kim Hong-Hee. She currently resides in Spain with her husband, Lebanese Armenian businessman Raymond Nakachian, her daughter Melodie, and son Amir. Kimera, with her four-octave range and visionary approach to art, has intrigued and fascinated many. Millions have already embraced her unique opera-pop fusion embodied in various albums starting with “The Lost Opera”, which sold more than 10 million copies, followed by “Opera Express” and seven additional albums. The third of five children, Kimera has loved singing ever since she can remember. From the age of twelve, she began singing classical music in church choirs, as well as in the Korean National Metropolitan Choir. While attending university, she found she really enjoyed singing pop music as well. However, her father strongly disapproved of pop, which he felt was unsuitable, so she put her love for this genre aside, and eventually stopped singing completely. Kimera focused on her studies and graduated with a B.A. in French Literature from Sung Sin University in Seoul. She then left her native Korea to pursue a post-graduate degree in France, where she studied for an M.A., also in French literature, at the Sorbonne in Paris. While in Paris, her love for singing was reawakened, so she decided to enroll in the “Ecole Normale De Musique de Paris” to train in opera. With many years of arduous vocal studies, she received a Superior Diploma in Lyrical Art with a unanimous vote, and with congratulations from the jury. Unbeknownst to her parents, Kimera wanted to marry her love of modern music with her love for opera. This culminated in her deciding, in 1984, to set aside her promising career as an opera diva, to create the controversial classic-pop fusion recording, “The Lost Opera”, with the London Symphony Ochestra. The album promptly entered the British music charts and went on to gather momentum in France, South Africa, South America, Korea, and many more countries across the globe. Kimera, the blazing rebel of opera, blended two genres from opposite ends of the musical spectrum to create a new style of music utilizing traditional operatic arias and a modern rhythmic pop beat. She called it “Popera” or “Opera Rock”. While it was well received by the public, she endured a great amount of criticism from classical purists who believed she vulgarized opera. As one critic put it, “Mozart would turn over in his grave if he heard this.” Criticism, however, did little to slow her down. She was happy to popularize opera and make it more accessible to kids, teens, and adults alike. In 1987, tragedy struck when her five-year-old daughter was kidnapped and held for ransom. Although her daughter was eventually recovered unharmed, Kimera became reluctant to live a life of celebrity, as she blamed her public lifestyle for the unfortunate incident. As a result, she gradually stopped singing. Kimera never lost her love for music, nor the love and gratitude for the millions of people who supported her during her career. After a long period of silence, she has come back to her fans with the new album, “Opera Found”.